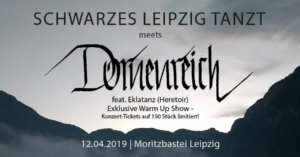 The setlist of the Schwarzes Leipzig Tanzt at Moritzbastei Leipzig (Ratstonne) on 12th April 2019. Read more. 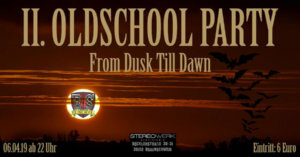 The setlist of the Oldschool Party Nr. 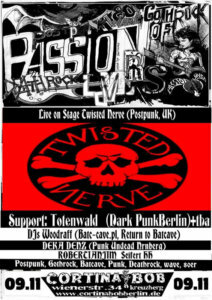 2 - From Dusk Till Dawn at Stereowerk in Braunschweig on 6th April Read more. The setlist of the after-show party for XIII. 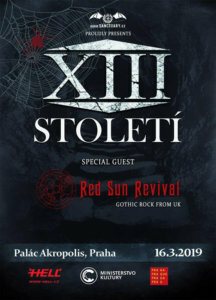 Století and Red Sun Revival at Palac Akropolis in Prague on 16th Read more. 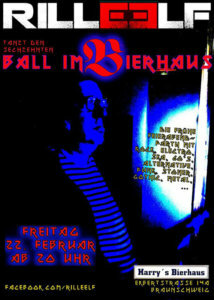 The setlist of the 16th Ball in Harry's Bierhaus in Braunschweig on 22md February 2019 - with the RILLE ELF Read more. Short review, photos and videos of the anniversary concert of The Names with The Passengers and P.∆.N.T.H.E.R at Cali Club Read more. Short review, photos and videos of the gig of The KVB and M!R!M at Café V Lese in Prague on Read more. Short review, photos and videos of the Fabrika Fest with Kælan Mikla, Selofan, and She Past Away at Bi Nuu Read more. 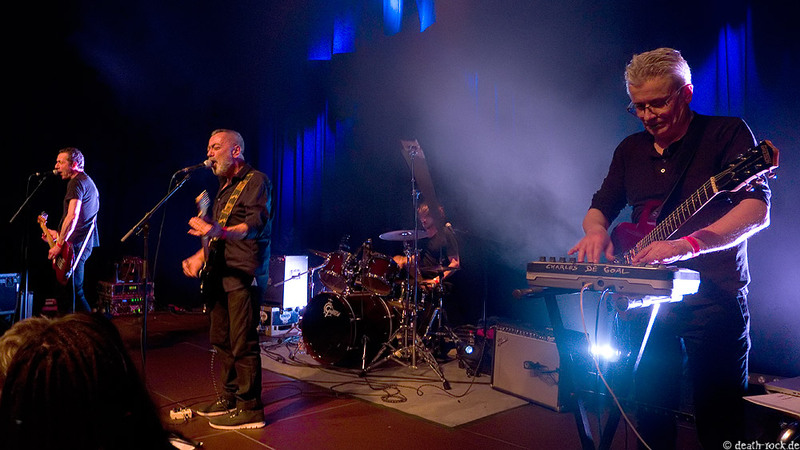 Short review, photos and videos of the gig of Twisted Nerve, Totenwald, and Rio Goldhammer at Cortina Bob Berlin on Read more. 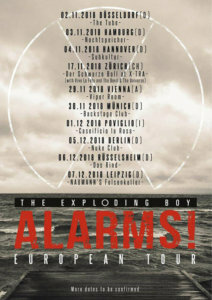 Short review, photos and videos of the gig of The Exploding Boy and On the Floor at Subkultur Hannover on Read more. 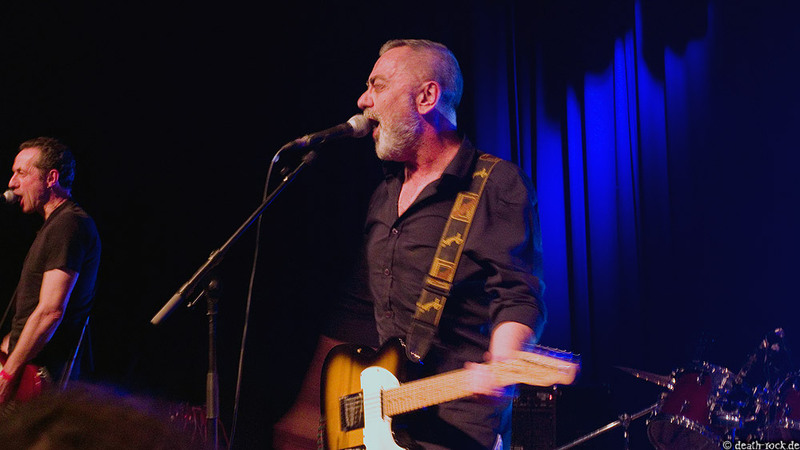 Short review, photos and videos of the gig of The Soft Moon and Imperial Black Unit at Café Glocksee Hannover Read more. Short review, photos and videos of the gig of the Parlotones, Meadows, and Adventure Man at Lux Hannover on 29th Read more. Short review, photos and videos of the Damaged Goods Festival "New Dark Age" at Hafenklang Hamburg on 27th October 2018 Read more. Short review, photos and videos of the gig of The Underground Youth and She Danced Slowly at Café Glocksee Hannover Read more. 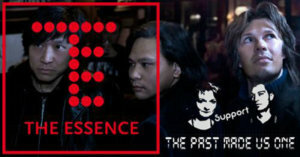 Short review, photos and videos of the gig of The Essence and The Past Made Us One at Noels Ballroom Read more. 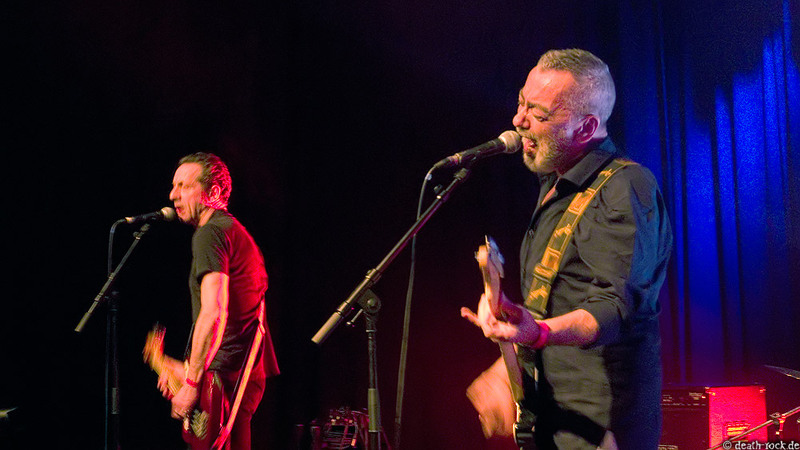 Short review, photos and videos of the gig of Spiritual Front, Bootblacks and Living Temples at Urban Spree Berlin on Read more. 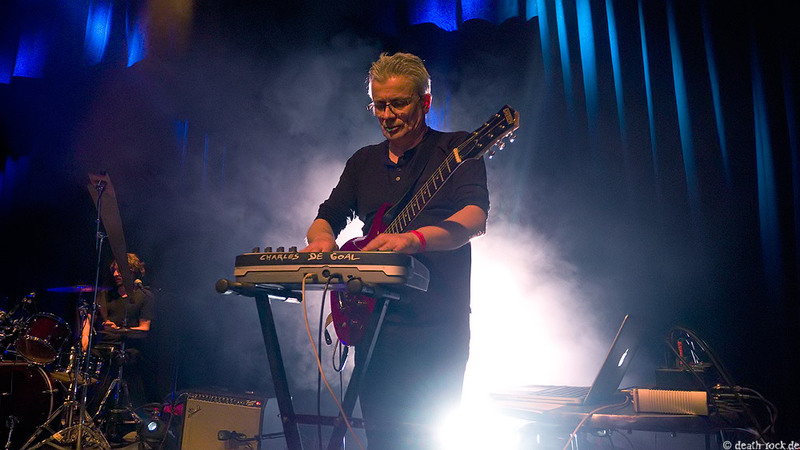 Short review, photos and videos of the gig of Traitrs at 12 Grad Aetherloge Berlin on 12th October 2018 Read more. 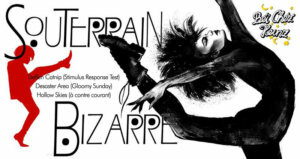 Party Tip: Souterrain Bizarre on 15th December 2018 at Béi Chéz Heinz in Hannover. Read more. 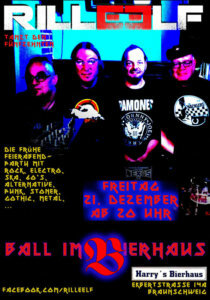 Party Tip: 15th Ball im Bierhaus with the RILLE ELF Team on 21st December 2018 at Harry's Bierhaus in Braunschweig. Read more. Party Tip: Ü30-Party on 8th December 2018 at FC BS-Süd in Braunschweig. Read more. 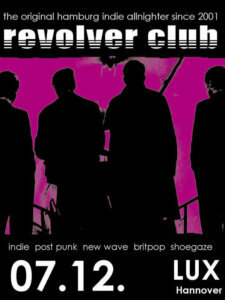 Party Tip: Revolver Club on 7th December 2018 at Lux in Hannover. Read more. Festival Tip: Danse Macabre Festival - Gothic Rock Edition on 7th December 2018 at Subkultur Hannover. Read more. Concert Tip: Aeon Sable & NU:N on 1st December 2018 at Logo Hamburg. Read more. Concert Tip: Peter Murphy on 27th November 2018 at Columbia Theater Berlin. Read more. Concert Tip: Gary Numan on 26th November 2018 at Huxleys Neue Welt Berlin. Read more. 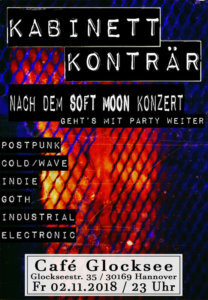 Party Tip: On 2nd November 2018, after the gig of The Soft Moon KABINETT KONTRÄR will take place at Café Read more. 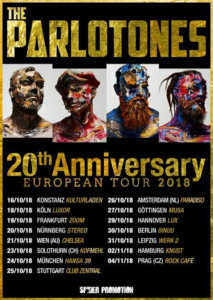 Concert Tip: The Parlotones at Lux in Hannover am 29th October 2018. Read more. 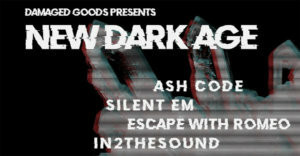 Festival Tip: New Dark Age with Silent EM, Ash Code, In2theSound, and Escape with Romeo at Hafenklang in Hamburg on Read more. 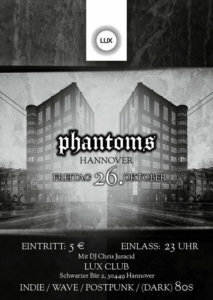 Party Tip: Phantoms Party on 26th October 2018 at Lux in Hannover. Read more.